Stitched on 18 count Natural Linen. Stitch count approximately 120 wide x 167 high. 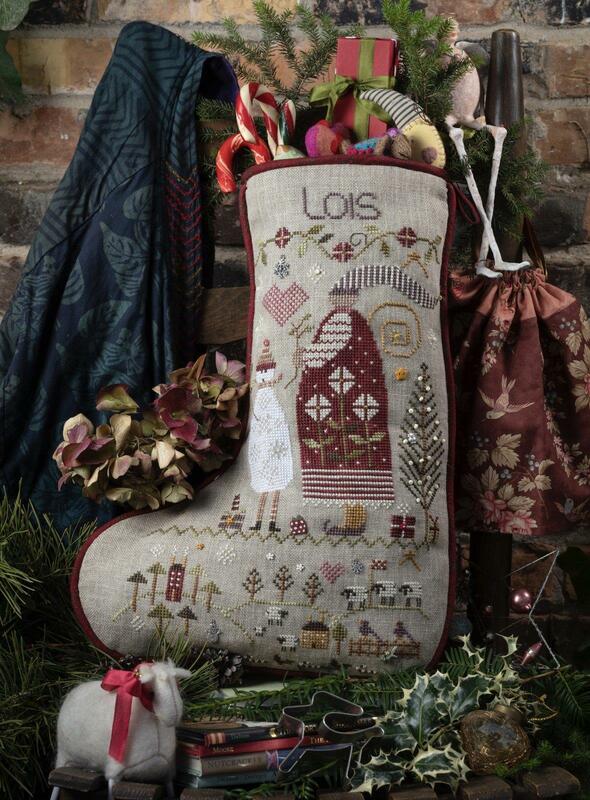 2018 Shepherd's Bush stocking design is called LOIS. Model stitched on 18 count Permin linen. Can also be worked on 18 count Floba or linen of your choice. A charm pack is available separately. Please let us know if we can put a kit together for you. Weeks Dye Works Perle 5: Brick x 3, Broom Tree, Caper, Grits, Pecan, Onyx, Oscar, Red Pear and River Rock. DMC Perle 5: Creme 644, Brown 841.